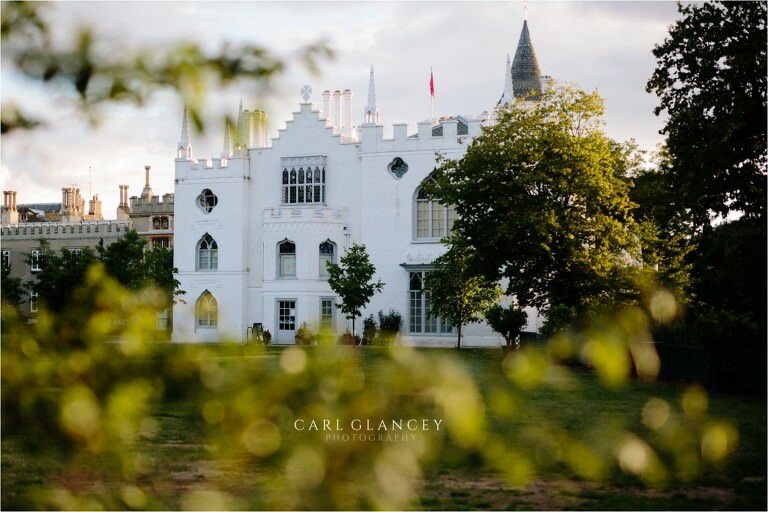 Strawberry Hill House is a first class wedding venue in Twickenham, South West London. It also happens to be one of the most photogenic venues that I have ever shot at. There are so many locations inside the house and on the expansive lawns to give you endless photo opportunities. Strawberry Hill House was built by Horace Walpole, son of the first prime minister Sir Robert Walpole in the 18th Century. It is without doubt one of the finest examples of Georgian gothic architecture in the country. The house underwent a two year restoration and reopened to the public in October 2010. The history and charm of this magnificent building is a sight to behold. Each room inside the house has been lovingly restored and has its own character, from the gallery with its fan vaulted ceilings with gold canapés and crimson damask to the wonderful hall and staircase. The latter making a stunning backdrop for bridal portraits. The amount of renaissance stained glass is very impressive and casts some beautiful light into many of the rooms. Being a twickenham wedding photographer these are the sorts of venues that get you excited! Your actual wedding breakfast can be held inside the house or in St Mary’s collage which is adjacent to the house. This provides some larger rooms and is still itself an impressive building that is very spacious and bright if you are having a larger wedding. On a lovely dry day your guests will love taking drinks and canapés on the lawns while you mingle with them. Throughout the year the gardens change with the seasons and look stunning whatever time of year. 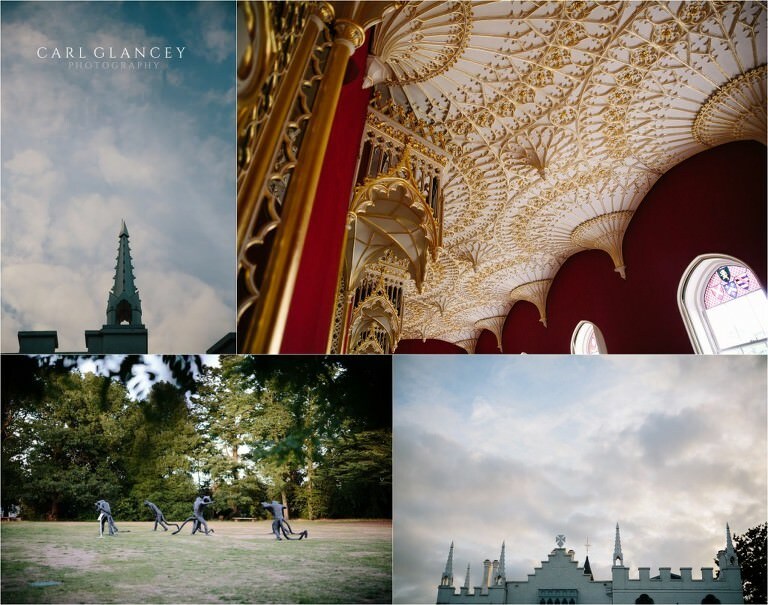 If you are looking for a Strawberry Hill House wedding photographer then send me a message and we can arrange a meeting to discuss your day in more detail. 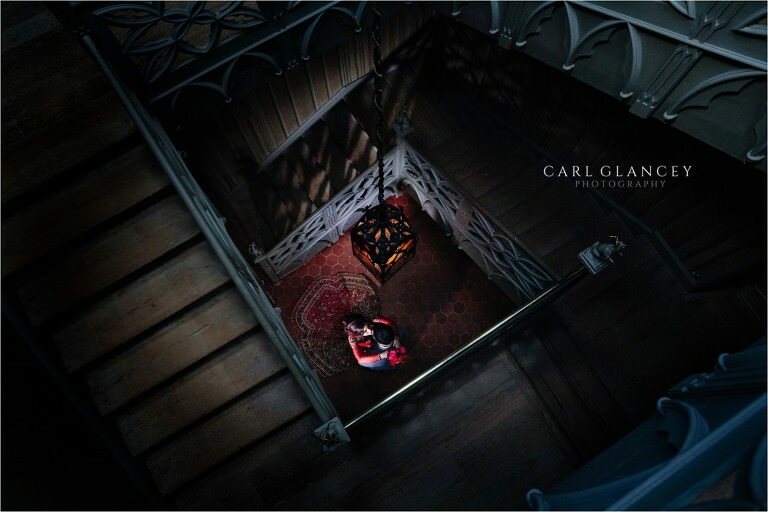 Check out this blog for another recent wedding. I discovered your web site from Google and I need to state it was an excellent discover.